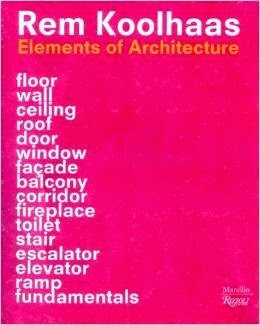 Radiator Blog: On video game corridors in "Elements of Architecture"
On video game corridors in "Elements of Architecture"
I wrote about video game corridors for the huge expensive hardcover 1000+ page Rem Koolhaas book-set "Elements of Architecture" -- it's part of an entire book about corridors, alongside books about doors, walls, etc. The bit that I've read has a pretty contemporary approach to things, talking about film geography and nationalism in the same breath as my lonely page that touches on the technical / level design aspects of corridors. Look mom, I'm a published architecture critic now!! !